My friend and I had a yen for ramen today so we decided to eat at Wagamama in Ezdan. This is the first time that we will try their ramen and we thought that based from our previous experience with their delicious food, the ramen would be amazing. 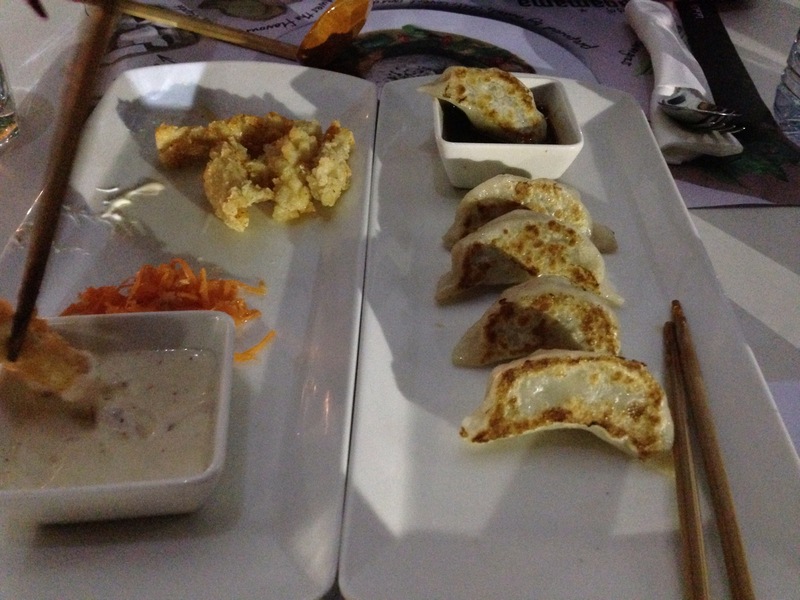 For starters, my friend and I ordered the chili squid with spicy mayonnaise and pickles and chicken gyoza. Waiting time was quite short, about 15 minutes, given that they were quite full. Both appetizers were good: the chili squid was great,not too hot to overpower your palate. The chicken gyoza was nice, too. It was firm and cooked nicely. For the main course, we both ordered ramen. She ordered beef ramen and I got the Wagamama ramen. We were quite optimistic that this would be quite good. The ramen serving is good for two as it comes in a big bowl. 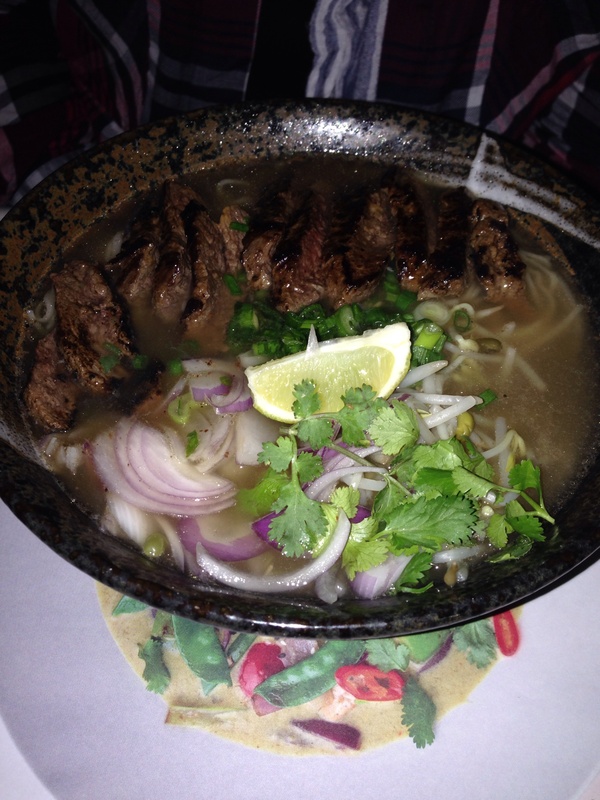 Beef Ramen: The grilled beef was quite bland. There was also a lot of bean sprouts that overshadowed the noodles. I found it okay but my friend wasn’t a fan of it. 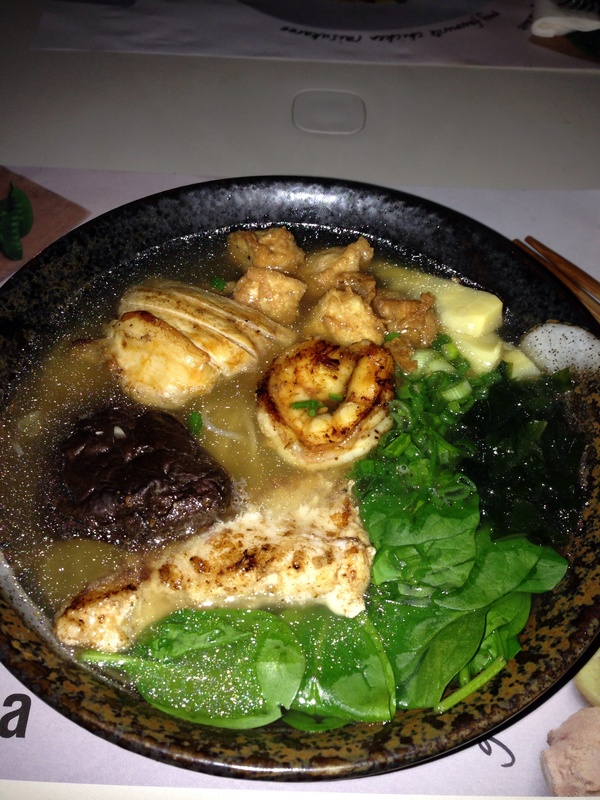 Wagamama Ramen: Toppings consist of one whole mushroom (shiitake, I think), tofu, chicken strips, shrimps and hammour and bamboo shoots. The chicken was quite gummy like it’s overcooked, the hammour was good though. The mushroom was very chewy. Tofu was okay. All in all, great appetizers, mediocre ramens. The broth of was actually quite bland, lacking that certain umami flavor found typically in Japanese food. Possibly, but not for the ramen.